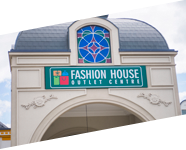 Co-forming the outlet market in Russia a few years ago was a pioneer move made by FASHION HOUSE Group. When the company started operations in the Moscow region, we were absolutely sure that we would achieve success. The long-term results of our scheme speak for themselves. In the three-year perspective, 2017 vs. 2014, footfall in FASHION HOUSE Centre Moscow increased with 45%, spend per head with 32% and average transaction value (ATV) with 30%. Russia is the country with huge potential, Russian people love fashion and the outlet concept (big brands and value every single day) matches consumers’ needs. 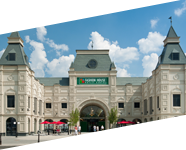 The outlet market in Russia is now concentrated around Moscow, benefiting from its enormous catchment and financial strength. The capital city’s leading position is not surprising and will not change in the close future as the Moscow’s market hasn’t become saturated yet. However, looking at clear trends in all Russia’s real estate investments, companies are more and more eager to enter regional markets. As JLL states in its reports, St Petersburg share had increased from 9% in 2016 to 16% in 2017. In Q1 2018, St Petersburg became the most popular investment destination for the first time, with 50% of all deals closed in the city. With no doubt, St Petersburg is also a great, prospective area for new outlet projects. Across the globe, first regional outlet centres have been developed in areas where the concept of offering all-year-round discounts for top international and local brands was an interesting novelty for consumers. This is the industry’s big advantage, allowing to smoothly transfer our ideas to new destinations. 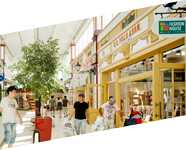 If an investor has relevant know-how to commercialize and manage an outlet centre in the best way, he can count on multiannual growth in key performance indicators and, as a consequence, gains substantial ROI. In the same time, retailers (outlet tenants) get an excellent way to dispose surplus stock in a controlled environment – even in economic turbulences. During a crisis people need bargains, out of the crisis people love bargains. Luxury in outlets in Russia or not? In Moscow, every commercial property should offer a wide range of luxury goods. In St Petersburg and other cities, where people have more limited resources, there is much more room for mass brands. It is not just about signing many lease agreements for retail space, but rather about using this space efficiently. The consistent evolution of the outlet tenant mix combined with the best offer and adequate number of product deliveries thorough the year, plus proper management lead to common success. 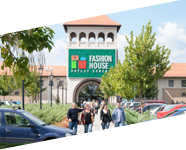 FASHION HOUSE Outlet Centre Moscow can be an excellent example here. Footfall, spend per head and ATV are witnessing an accelerating growth rate over the course of years, proving that people visiting the scheme find here what they want.